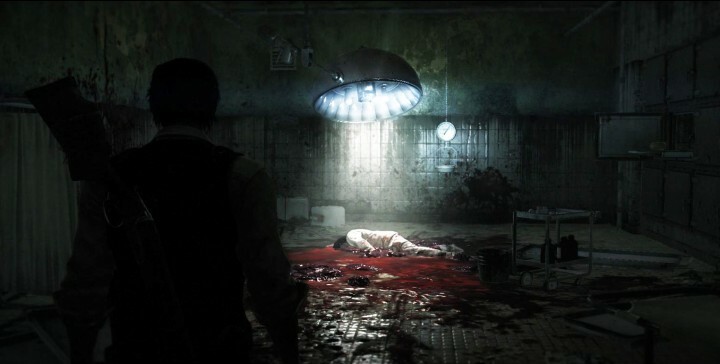 Our previous bug post for The Evil Within PC helped reduce the random crashing for players early on (it was really hard to get through Chapter 2 without it, but it comes back later). This time we have a blurry screen to deal with. Approaching a slightly open door at the bottom of the stairwell in Chapter 5 of The Evil Within suddenly makes the screen blurry. You think to yourself, am I about to peek in here and focus on something, but then you walk in and the room is just blurry. YouTube user Omnislash Vince posted this video to show off the blur. See the 1 minute mark for the bug. In our previous article on this game, we had you turn down the anti-aliasing setting from SMAA to the medium setting of MLAA. To fix this bug, you have to turn it down again to FXAA. The room will instantly become visible again and you can set your AA setting back up afterwards.